Where do you need the boiler installation? A gas boiler is the most common means of heating water for a home radiant heating system. They are used in most homes because they are more affordable than an electric boiler. While gas boilers are more affordable to run in most situations, they aren’t more affordable to have installed, especially when in a new location and can often cost $1000+ for a new gas boiler installation. A gas waste line must be installed where unsafe gases can be released from the house out into the atmosphere during operation. These gases go up through a flue that has to be installed in your home. A gas line must be run to the unit, which is more difficult than running a power line through your home. Also, a storage tank need to be stored on the property, and if you are running on something like propane, it will have to be refilled regularly. This all amounts to a more expensive installation. Gas boilers are generally more affordable to run than electric boilers because gas is more affordable than electricity and is better at heating water. For example let’s consider propane, butane and natural gas versus electricity. One gallon of propane produces about 91,000 BTUs and a single cubic foot of natural gas offers 1,075 BTUs. According to the same source one KWh of electricity offers 3,413 BTUs to heat your water with. According to the government 1,000 cubic feet of natural gas cost an average of $12.95 in 2014. At that rate one dollar would buy you 83,011 BTUs of water heating power with a 100% efficient boiler or 66,408 BTUs with an 80% efficient boiler. According to the EIA residential propane prices were an average of $2.36 per gallon, buying you 38,559 BTUs at 100% efficacy and 30,847 BTUs at 80% efficiency for every dollar you spend. In comparison, according to the U.S. Energy Information Administration, the average cost of residential electricity was about 13 cents per KWh in August of 2014. That means for $1 you would get about 7.69 KWh of electricity or enough to produce 26,253 BTUs of power at 100% efficiency. Since most electric boilers are about 99% efficient you could realistically expect 25,991 BTUs for every dollar of electricity which is still lower than a poor propane system that only achieves 80% efficiency and much lower than a natural gas system. Keep in mind that 13 cents per KWh of electricity is the average throughout the country, many areas such as Hawaii with an average of 29.87 center per KWh or New York at 18.44 cents per KWh, are more expensive to run electric boilers in. Yet there are some more affordable locations as well like Washington or Louisiana where it would make sense to run on electricity. If you’ve ever worked with a gas stove in your home or out camping, or even used a gas grill it should be pretty easy to visualize how a gas boiler works. A gas boiler is essentially a water tank mounted over top of a massive heat element. The gas is fed into a burner and ignited by an electric sparker. Once a flame is formed it’s maintained to heat the water tank above it to the desired temperature. When the water reaches the proper temperature, an electric pump moves it out of the tank and through a series of pipes that run through the home to a set of radiators. This cools the water down until it reaches the end of the cycle and ends up back in the boiler to be heated again. Usually a boiler is connected to an electronic thermostat that tells it when to turn on and off. When the temperature of your home drops to a low enough level, the boiler fires on and begins the cycle again. Since gas produces more heat during combustion than an electric heating element can, it’s possible to heat water up faster and to heat a larger quantity of water up using a gas boiler than it is with an electric model. That means you can heat your home faster, or heat a larger home with a gas boiler where an electric boiler simply might not have enough power in some instances. Gas boilers have many more moving parts than electric boilers do. There is the igniter, there is a fan to keep fresh oxygen flowing into the unit, and several sensitive sections that all have to be maintained. Even though gas burns relatively cleanly, there are still components that will have to be cleaned regularly to keep everything running effectively. A gas boiler will have to be maintained more often than an electric one. 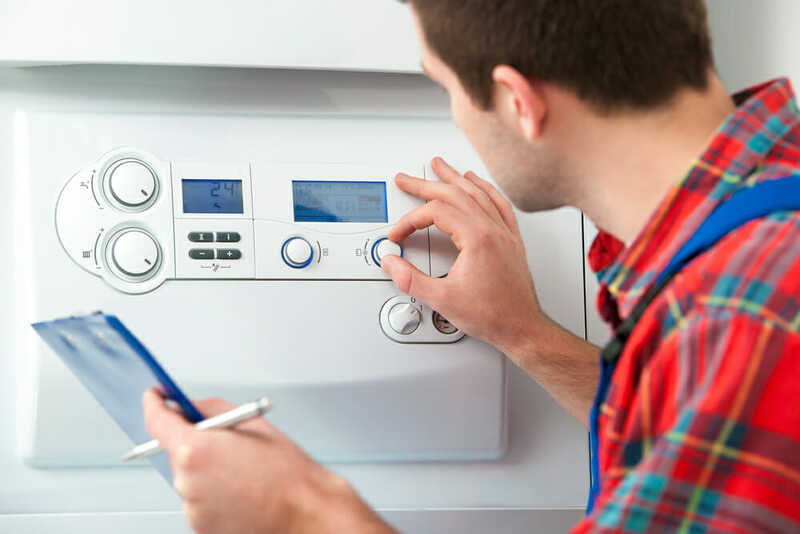 While a gas boiler will likely cost you more money to have installed and will take a bit more work to keep running, it will probably save you money over time.